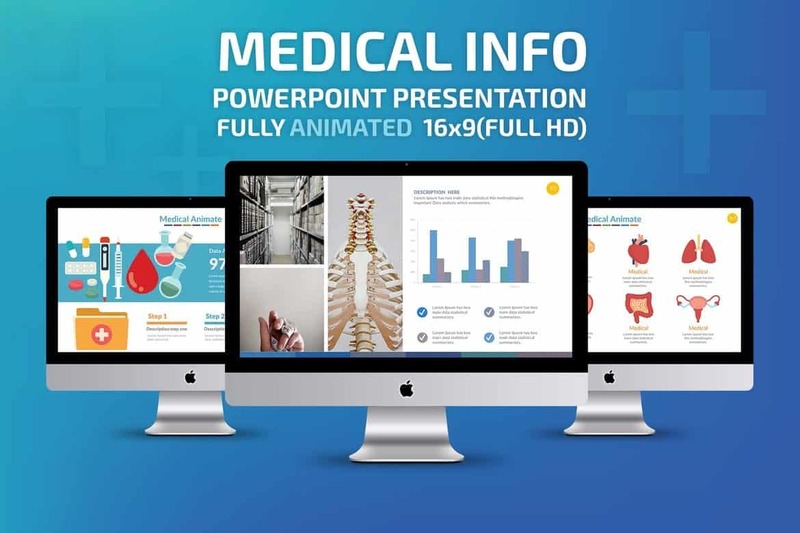 We’ve prepared a handpicked collection of the best medical PowerPoint templates you can use to quickly make a professional medical-related presentation all by yourself. It takes a lot of time and effort to prepare for an event presentation. You have to do the research, prepare the speech and lots more. On top of all that, you also have to design an engaging PowerPoint presentation as well. Thanks to PowerPoint templates designed by professionals, you no longer have to use a mundane default template or spend hours designing the perfect slideshow. 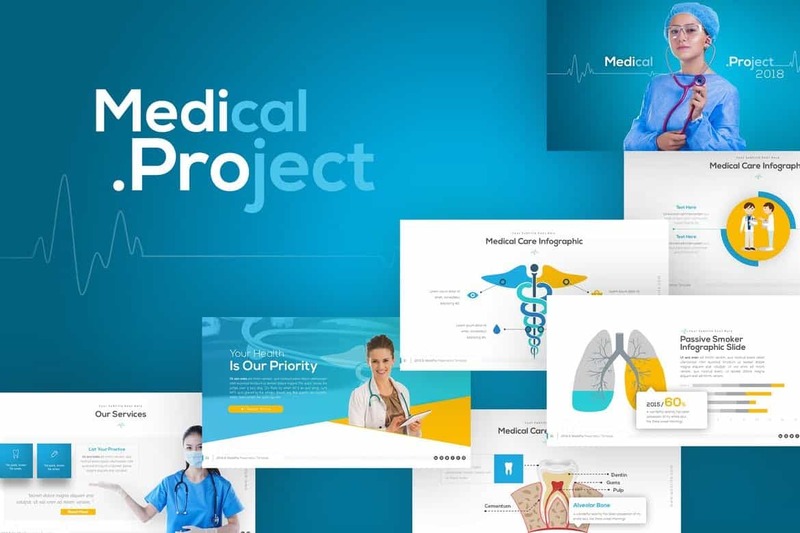 Here are a few of the best PowerPoint templates you can use for all kinds of medical themed presentations. 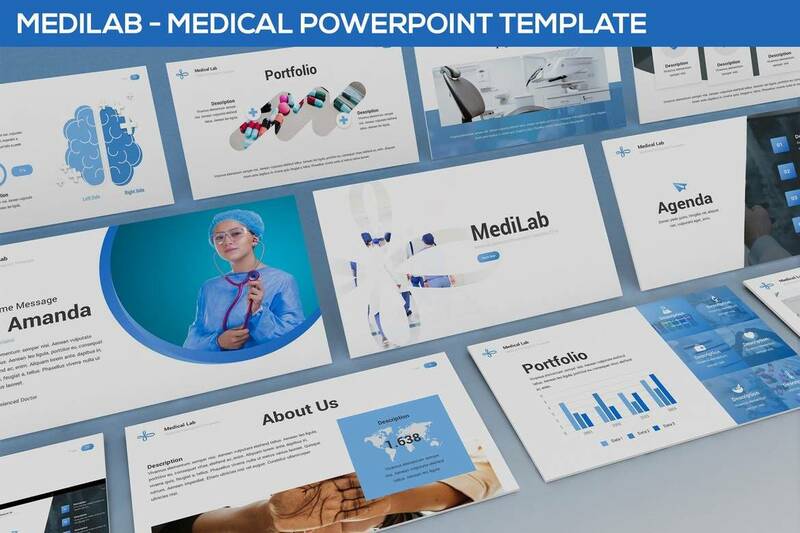 Whether you’re a doctor, dentist, nurse, researcher, or medical sales rep, these presentation templates will get you off to a great start. 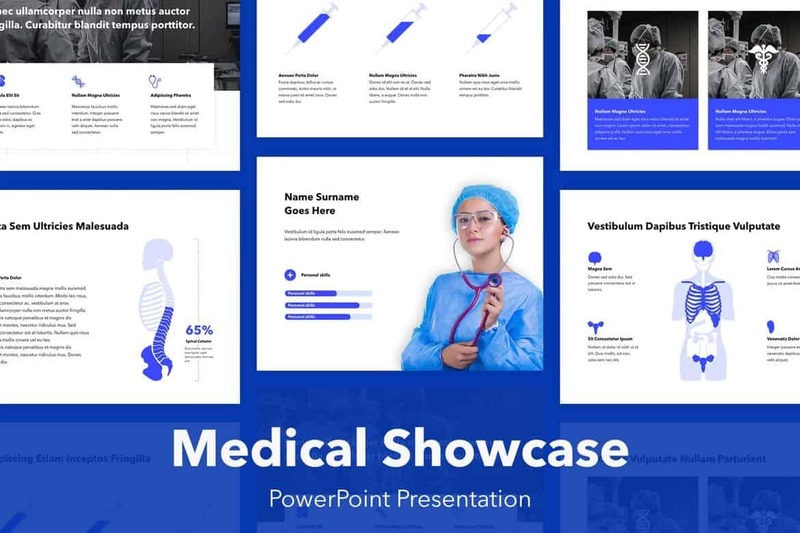 Medical Showcase is a modern and stylish PowerPoint template designed for making slideshows for medical-related events, conference, and all other presentations. The template comes with 20 master slide layouts in 2 different sizes. It also includes lots of diagrams, graphs, charts, and editable vector graphics. This PowerPoint template comes with 30 unique slides featuring clean and modern designs. It also lets you choose from 5 different premade color schemes for designing various styles of slideshows. It’s perfect for making presentations for all kinds of businesses and events. 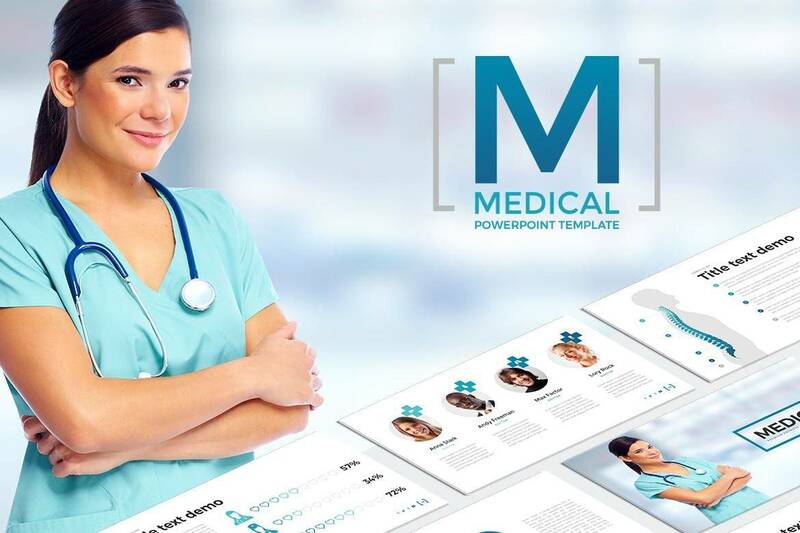 Medicare is a modern PowerPoint template that features a minimalist design. It also includes slides filled with lots of graphs, charts, and infographics. The template features 50 unique slides that can be customized however you like to change text, colors, and images. This is a multipurpose PowerPoint template featuring more than 100 unique slide designs. 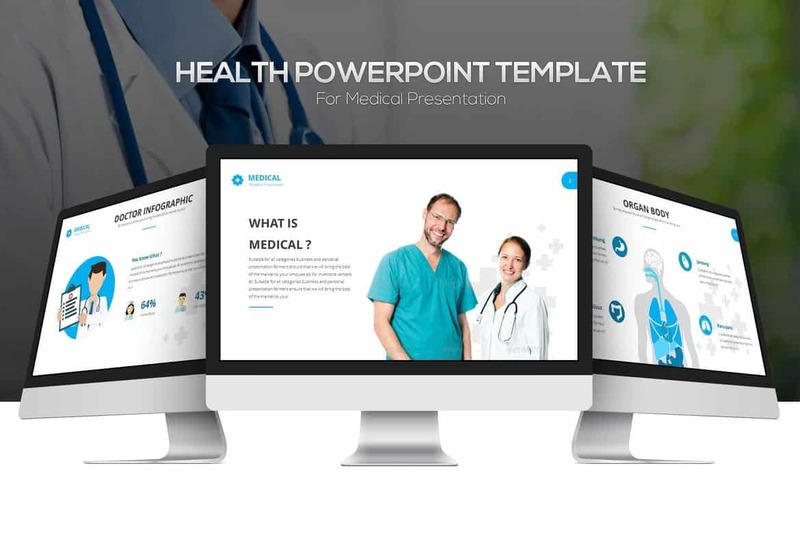 Using this template, you’ll be able to craft all kinds of healthcare, medical, spa, and many other types of presentations without having to use additional designs. The template is also available in 30 different color schemes, making a total of more than 3000 slides. 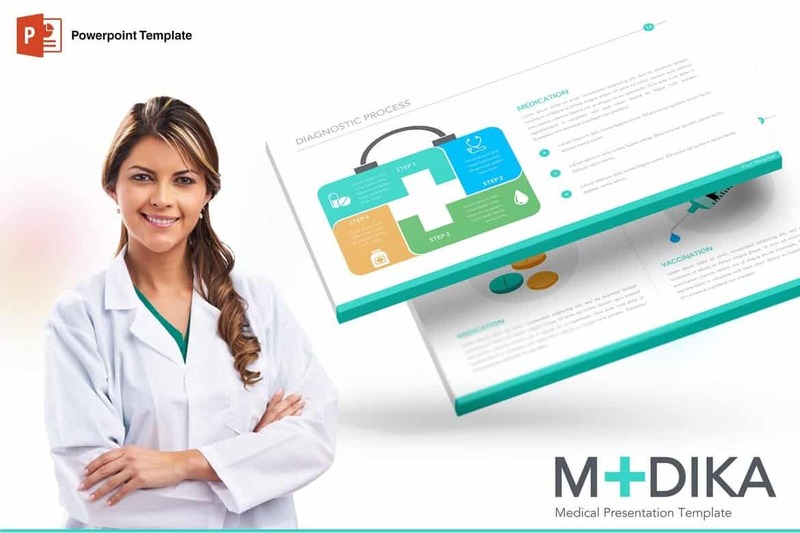 Medipro PowerPoint template features lots of modern elements that make it a unique template for designing presentations for modern startups and businesses related to healthcare. The template includes 55 multipurpose slides with 90 master slide layouts and it’s available in 10 different color schemes as well. Medilab comes with a simple and clean design. 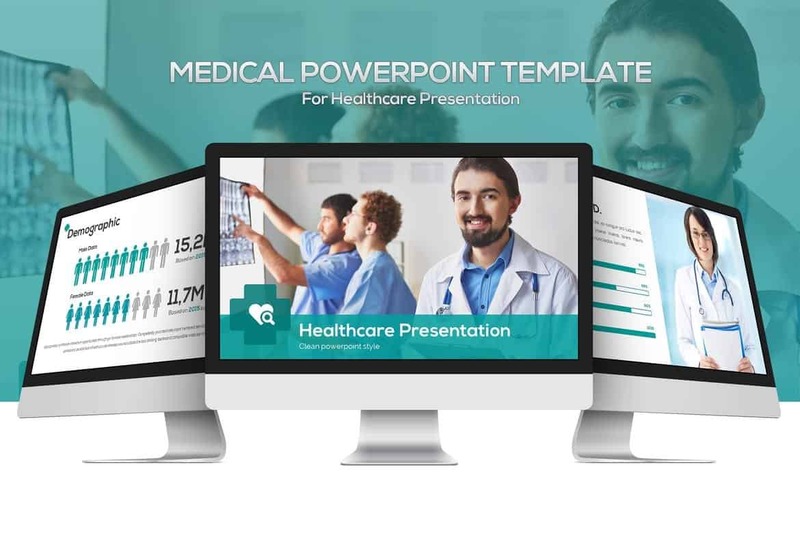 This PowerPoint template is perfect for making slideshows for medical conferences, startup events, and many other healthcare related presentations. It features 30 unique slides in 3 stylish color schemes that you can easily customize to your preference. 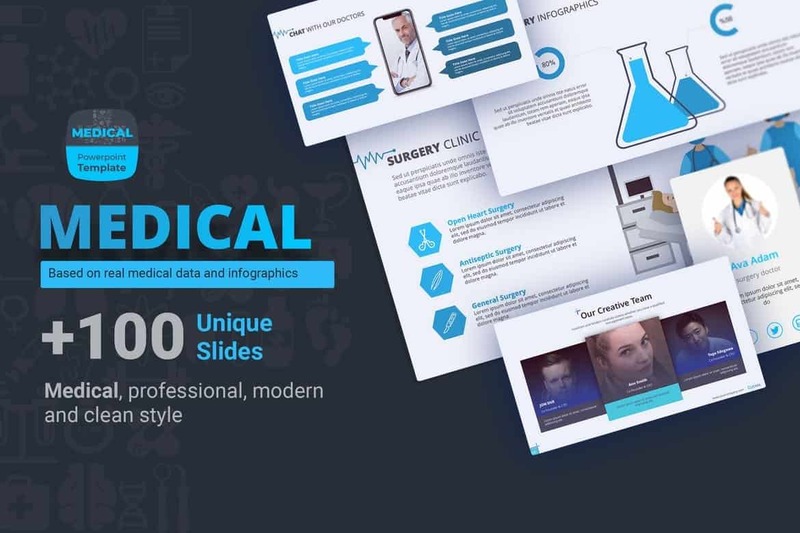 Multimedical PowerPoint template features many useful slide designs, including timelines, graphs, infographics, charts, diagrams, and much more. The template is available in 3 different color schemes as well as dark and light themes. It includes 30 unique slides. 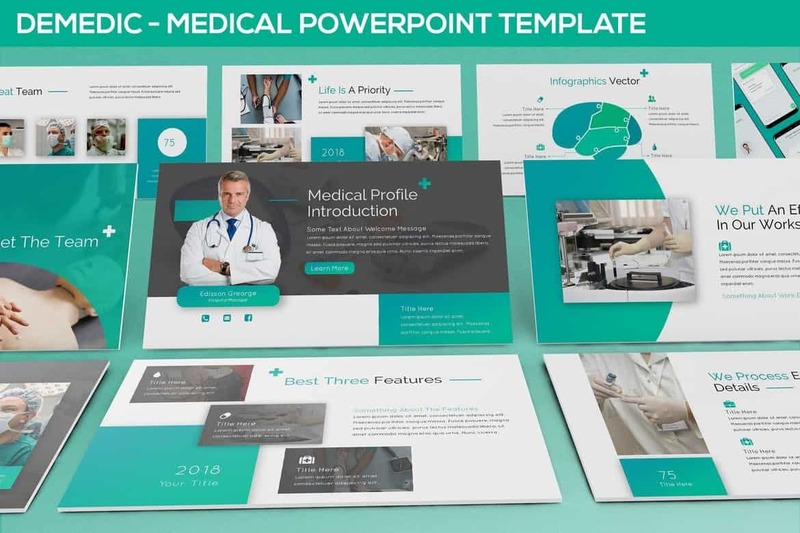 If you’re working on a presentation for a hospital, medical center, or a healthcare related business, this PowerPoint template will come in handy. It features all the necessary slide designs you’ll need to make an effective presentation to showcase your business. The template includes 40 unique slides. This bright and colorful PowerPoint template lets you customize and use 30 unique slides however you like to make powerful presentations that captivate your audience. The template includes image placeholders, infographics, vector icons, and lots more vector elements. 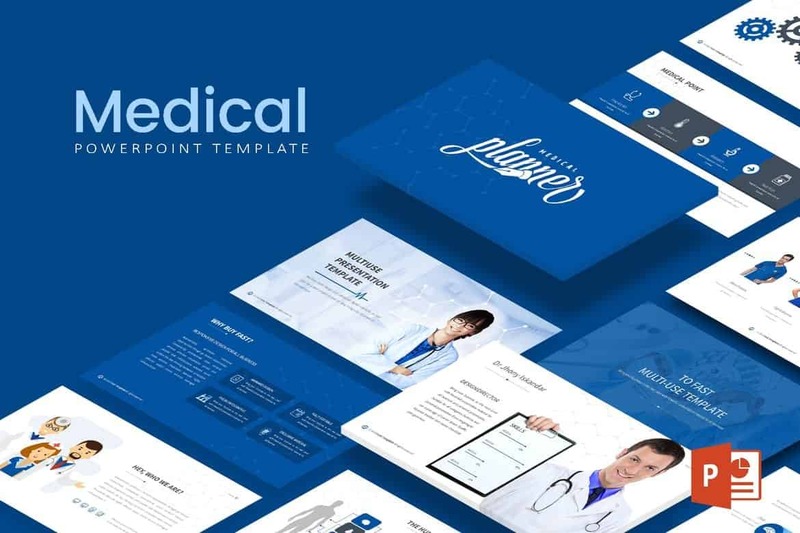 Medica is a creative PowerPoint template featuring 30 unique slides in 3 different color schemes. The slides in this template are fully customizable and you can easily edit them to change colors and shapes however you like. It also includes the template in a dark color theme as well. 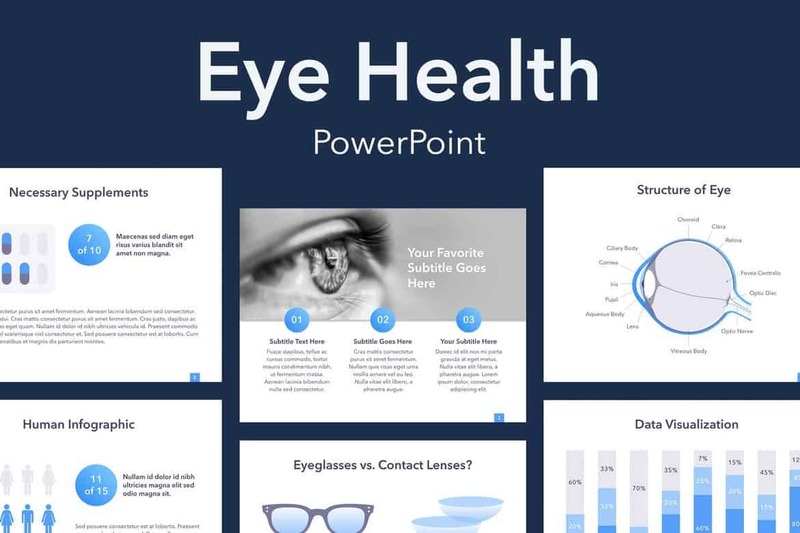 This PowerPoint template is specifically designed for making presentations related to optical and vision care. It features plenty of slides filled with infographics, illustrations, and icons related to the eyes. The template includes 20 master slide layouts in 2 different sizes. Demedic is a modern PowerPoint template that comes with 30 unique slides. 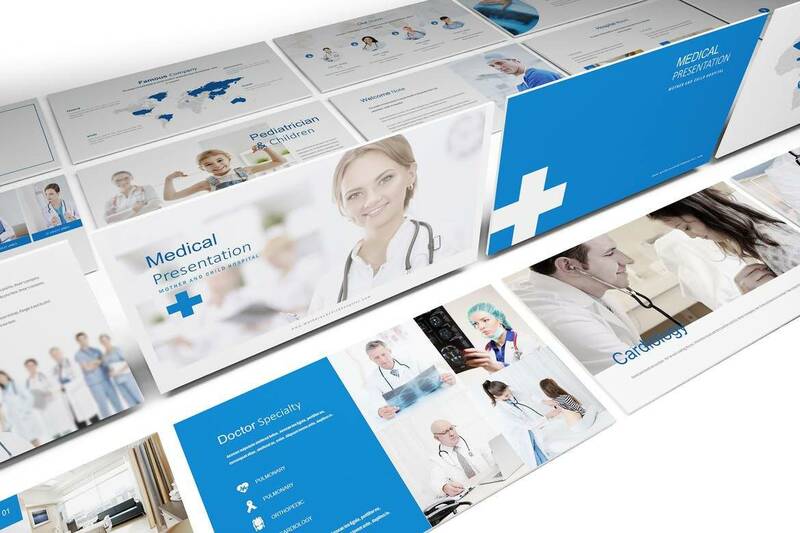 With this template, you get to choose from 3 different color schemes to design presentations related to medicine. The template colors can also be easily customized to your preference and include image placeholders for drag and drop image placement as well. Cure is a simple and elegant PowerPoint template that features a modern design with a minimal clean layout. The template lets you choose from 30 unique slides to craft powerful and engaging presentations. It also includes 3 different color schemes for customizing the design as well. 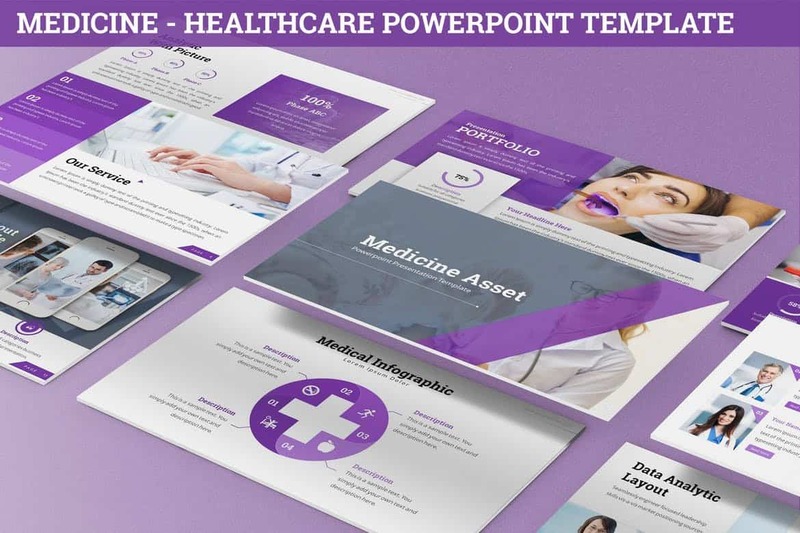 Another modern PowerPoint template featuring a medicine related theme. 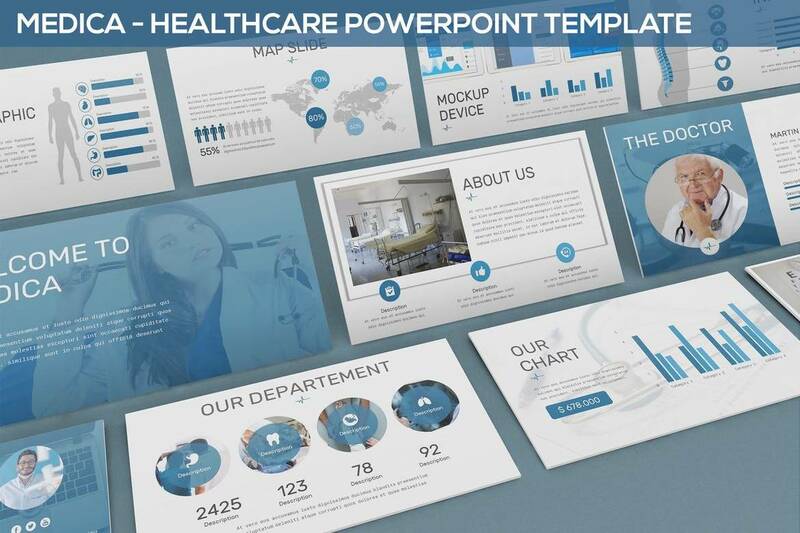 This template comes with a set of 50 unique slides that allows you to design effective presentations for healthcare events and conferences. It also features editable colors, image placeholders, editable graphics, and more. This PowerPoint template comes with a set of slides filled with colorful designs, illustrations, and editable vectors. 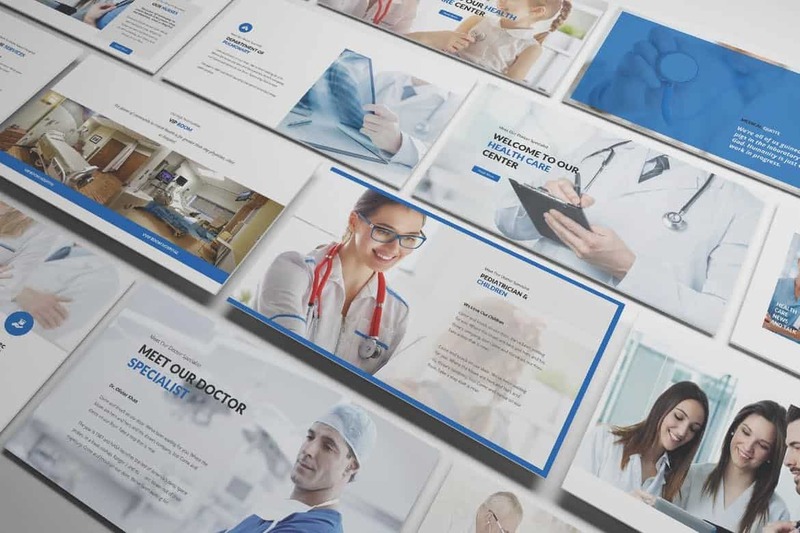 The template is also fully animated and includes a pack of 1000 medical-themed icons along with image placeholders for easier editing. 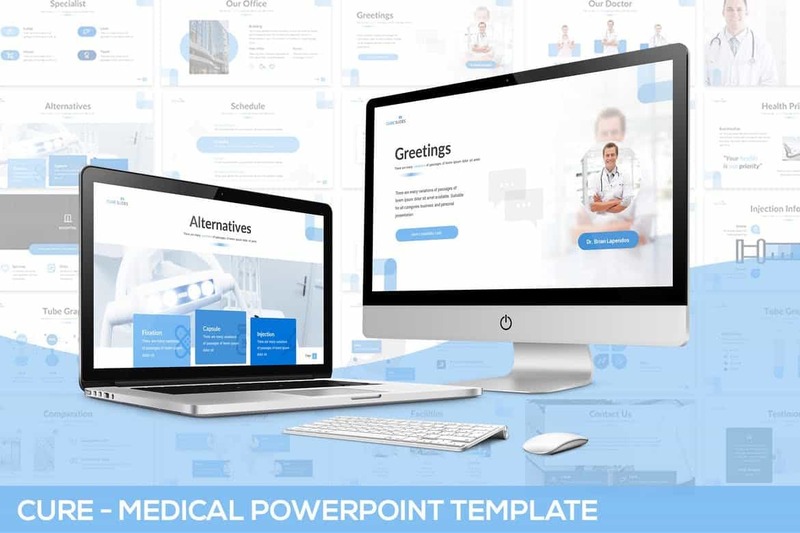 An elegant PowerPoint template you can use to design a slideshow for a hospital, medical center, or a service based business for showcasing your company or brand. This template comes with 70 unique slides in Full HD and Retina resolutions. It includes lots of useful infographics, charts, and it can also be customized with 110 different color schemes as well. This is a simple and modern PowerPoint template featuring 25 unique slides. The template comes in 3 different color schemes: Teal, Blue, and Green. It’s also available in both widescreen and standard sizes. It’s perfect for all kinds of medical-related presentations. 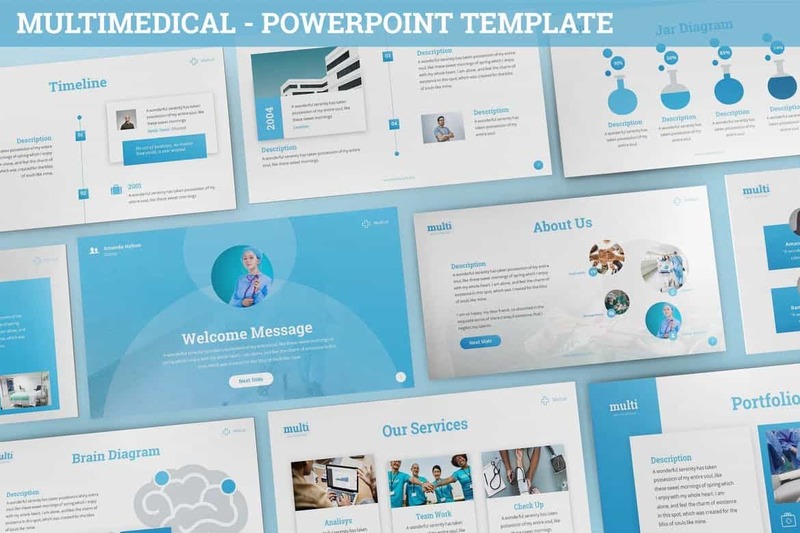 Medika is a modern and creative PowerPoint template you can use to make slideshows for medical business and branding presentations. The template comes with 20 unique slides featuring editable graphics, icons, and it’s available in 5 different color schemes as well. 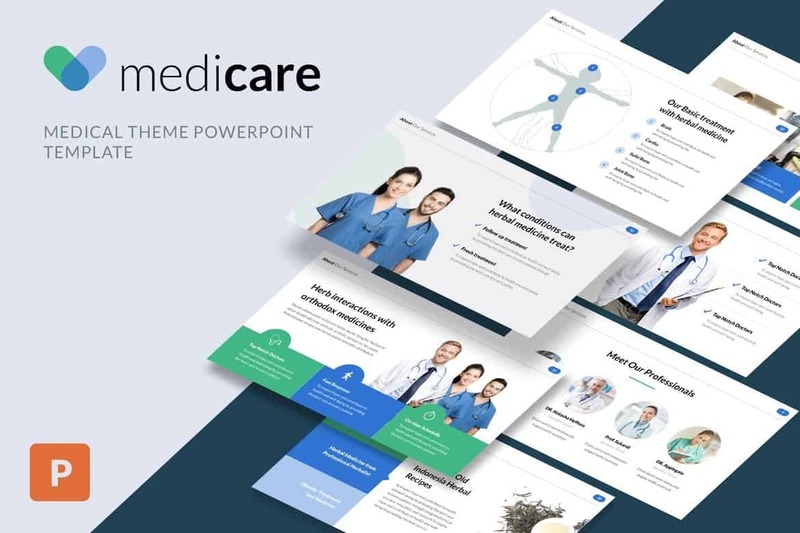 This is a multipurpose PowerPoint template that comes with 20 unique slides that can be easily customized to make many different types of healthcare themed presentations. The template is also available in 3 different color schemes as well as dark and light color backgrounds. If you use lots of infographics, timelines, charts, and graphs in your presentations, this PowerPoint template will come in handy. 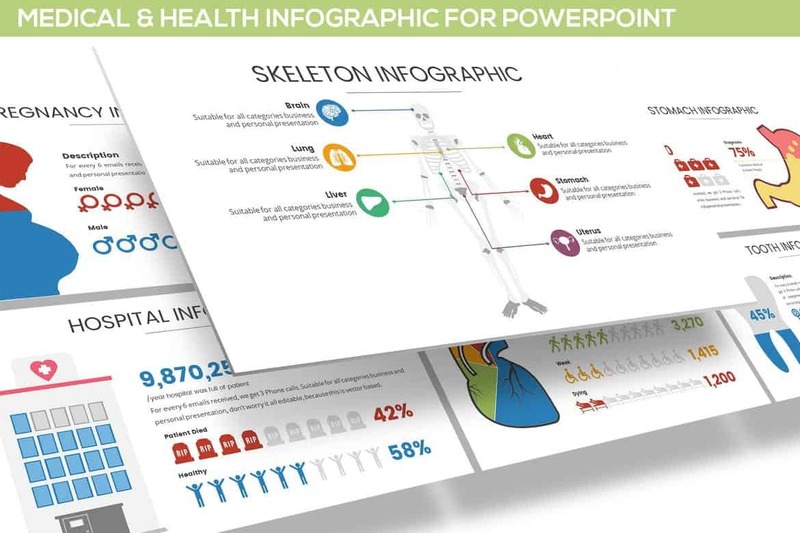 It includes 20 editable infographic slides you can use to showcase different stats, studies, and research in your presentations to make a more compelling speech. For more inspiration, check out our handpicked collection of the best PowerPoint templates.